Funeral services for Mr. Ollie Jewel Neal will be held on Thursday, November 3, 2016 at 11:00 a.m. at Magnolia Baptist Church, Hosie Waters Street, Montezuma, Georgia. Interment will follow on Friday, November 4, 2016 at 2:00 at Andersonville National Cemetery, Andersonville, Georgia. Ollie Jewel Neal was born on August 14, 1941 to the late Ollie and Millie O. Neal in Montezuma, Georgia. He accepted Christ as his personal savior at a young age and united with the Magnolia Baptist Church. He was very active in the church and was a devout and dedicated member of the Deacons’ Ministry. He was a 1958 graduate of Macon County Training School. After attending Morris Brown College in Atlanta, Georgia for one year, he enlisted in the United States Army where he earned the rank of E-6. SSG Neal was awarded the Purple Heart along with many other medals, badges and commendations. After his honorable discharge from the military, he fulfilled his parents’ wishes by earning a bachelor’s degree in psychology from Georgia Southwestern State University where he excelled in academia as an athlete and outgoing scholar. He was employed as a case manager with the Equal Employment Opportunity Commission for a number of years before his retirement in 1995. On October 29, 2016, Ollie fought his last battle surrounded by those who loved him most. 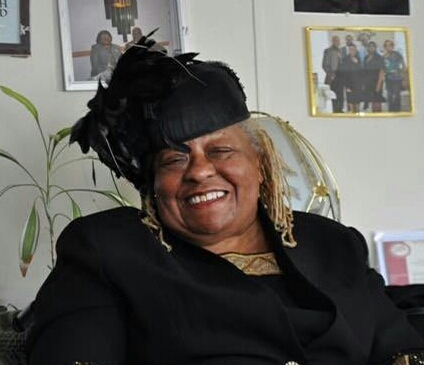 The never-ending legacy of Ollie J. Neal is left to be cherished by his wife, Melba H. Neal; four children: Kimberly N. Larry, devoted daughter and caregiver and Rodney Neal of Montezuma, Georgia, Cassandra Neal of Riverview, Florida and Sherry L. Velez (Luis) of Lithonia, Georgia; eight grandchildren: Geoffrey Larry II and Nicholas Larry of Montezuma, Georgia, Clarissa Durden (Jimmy) of Jonesboro, Georgia, Kelsse Neal of Marshallville, Georgia, Sharmillian Larry of Montezuma, Georgia, Nadia Velez (Randy) of Riverview, Florida, Justin Velez of Americus, Georgia and Taylor Beckett of Carrolton, Georgia; fourteen great grandchildren whom he loved immensely; a brother, Terry Brown of Montezuma, Georgia; three sisters-in-law: Sara Clark of Henderson, Georgia, Evelyn Harmon of Oglethorpe, Georgia and Patricia Council of Montezuma, Georgia; a passionate and loyal companion, Mildred Fudge of Montezuma, Georgia; a host of nieces, nephews and a true friend, Leonard Duncan of Montezuma, Georgia. 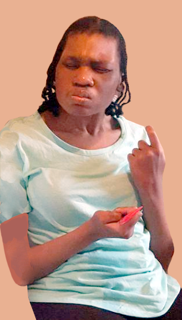 Ms. Adriane Walton age 36 of Americus, Georgia died on Thursday, October 27, 2016 at the Phoebe-Sumter Medical Center in Americus, Georgia. Funeral services will be held on Friday, November 4, 2016 at 11:00 A.M. at Welcome Baptist Church with Rev. Freddie Mann officiating. Burial will follow at the Eastview Cemetery. Ms. Adriane Walton was born August 9, 1980 in Americus, Georgia to Mrs. Janet Jackson and Mr. Kenyetta Jackson. She was educated in the Americus-Sumter County System. Adriane leaves to cherish her memory her parents Janet and Kenyetta Jackson of Americus, Georgia; three siblings: Yakeisha (Timothy) Peterson of Americus, Georgia, Antonio Brown of Miami, Florida and Cadare Bonner of Americus, Georgia; her grandmother, Annie Mae Bass of Americus, Georgia and a very special caregiver Linda James of Americus, Georgia. Several other relatives and friends also survive. Mr. Gilbert Gene Jones, Sr.
Funeral services for Mr. Gilbert Gene Jones, Sr. will be held on Saturday, October 29, 2016 at 1:00 P.M. in the Chapel of West’s Mortuary in Americus, Georgia with Pastor Jonathan Johnson officiating. Mr. Gilbert Gene Jones, Sr. was born on July12, 1954 in South Miami, Florida to the late Jessie Bell and the late Joseph Hunt. He was raised by his adopted parents Ernest and Grucho Jones. 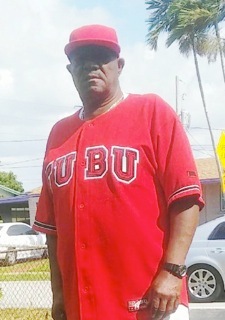 He was educated in the South Miami School System and graduated in 1972. After graduation, Mr. Jones enlisted in the United States Army and was honorably discharged after serving his country faithfully. He was married to Christine Jackson Jones and they enjoyed a beautiful life while raising a loving family. He was employed and retired from the YDC in Americus, Georgia. 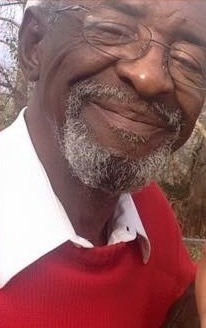 He was preceded in death by a son Gilbert Jones, Jr. Mr. Jones died on October 25, 2016 at the Phoebe-Putney Memorial Hospital in Albany, Georgia. Left to cherish his memories are his wife of 30 years, Mrs. Christine Jones; his children: Royice (Tameko) Jones, Monique Jones, Nicole Jones (daughter-in-law), Ken & Mechell Sparks, Tracy Ann Smith, Lueann Nelson, Antwan Jones and Antinette Jones; his siblings: Jackleyn (Charles) Harrell Joyce (Trevor) Barrett, Rocko Jones, Rambert Hunt, Jessie Jones, Jackie Jones, Segal Jones, Felicia (Ezecka) Hunt, Daniel Hunt and Ola Jones: 12 grandchildren in Miami, Florida and 6 grandchildren-Georgia. Several other relatives and friends also survive. Funeral services for Mr. Larry Robinson age 58 of Smithville, Georgia, will be held on Saturday, October 22, 2016 at 3:00 P.M. at the Jerusalem Grove Baptist Church in Smithville Burial will follow at the church cemetery. 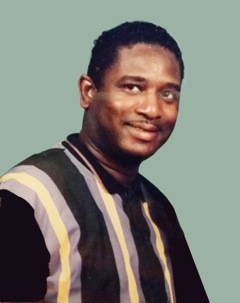 Mr. Larry Robinson was born in Smithville, Georgia on December 5, 1957 to the parentage of the late Mr. Willie R Williams, Sr. and Mrs. Izola Robinson West. He was educated in the Lee County School System. 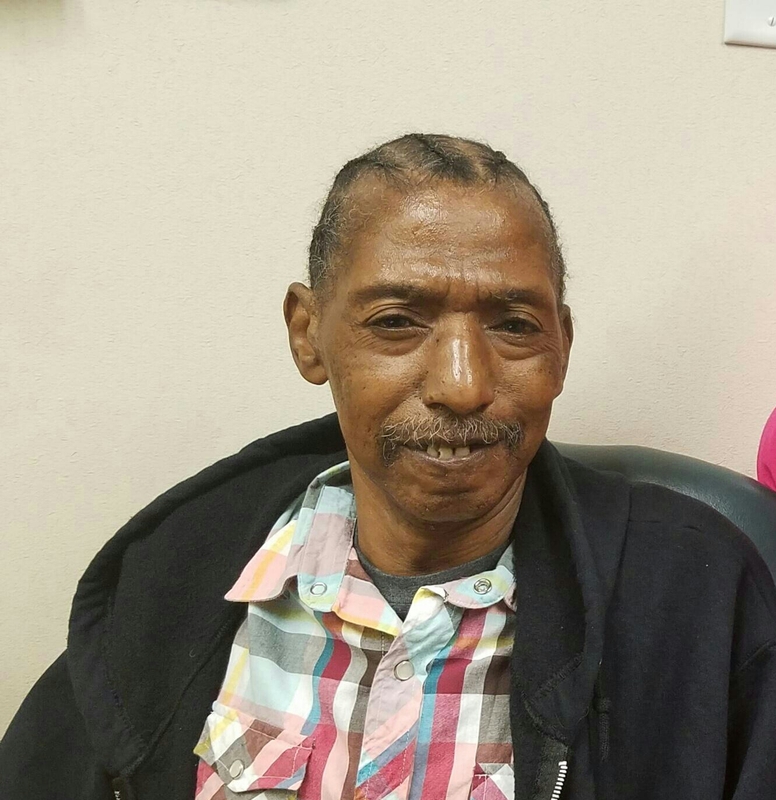 In the last two-three months of his life, Larry lived at the Lillian Carter Nursing Home in Plains, Georgia where he received 24-hour specialized care for his physical needs. In spite of the many challenges and struggles he has had to face, he remained the same. Larry was bold enough to never claim cancer, and humble enough to know not to refuse Christ. 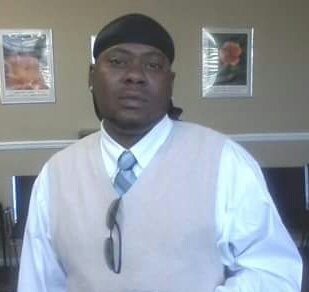 Larry was affectionately known by his family as “Vonzell”. He inherited this name from the classic sitcom, “Happy days”. Fonzie, a character on the show, had this catchphrase that summed up a typical conversation you would have with Larry, “heyyyyy”, or if you spoke to him he might respond with these words, “alright, alright” with a smile and chuckle. That marked the beginning and the end of the conversation. If you engaged in a longer conversation than that, “you were blessed”! Larry was a simple man, he lived a simple life, and everyone that knew him would say, “Larry was simply a good man”. However, Larry did come to know that being good is not good enough to enter into heaven. So…like one of the two thieves on the cross along the side of Jesus, he seized the last opportunity of grace that was granted to him on October 17, 2016. He confessed and repented of his sins and accepted Jesus Christ into his heart as his lord and savior. He was preceded in death by his grandparents, John and Ola Mae Terry, Leonard and Mable Champion, and Doc and Esther Williams. He was also preceded in death by his brothers, M.C. Robinson, Kirk Robinson and Marvin West; his sister, Marcella A. Williams; his aunts: Mae Vessa Trice, Annie Lloyd, and Bessie Hunter; his uncles: Leonard Robinson, Henry Robinson, Clinton Terry, Joe Terry, C.W. Terry, and Johnny Terry; also a cousin, James Trice. In addition to his mother, Mrs. Izola Robinson West, Smithville, GA. and stepmother, Mrs. Collie Williams, Sumter City, Larry Robinson leaves to mourn his passing, his beloved daughter, Damerius Lafeia Patterson; son-in- law, Elder Larry Patterson, one grandchild, Jailyn Heavenly Symone Patterson all of Americus, GA; nine sisters: Viola West, Smithville, GA, Beverly (Chris) Dingle, Plains, GA, Shelia Smith, Gretel (Levi) Smith, both of Smithville, GA, Vaturnia (Elder Wallace) Ingram, Americus, GA: Eva Mae Williams, Linda Williams, Monteen Williams, Sumter City, Bernice Williams, Americus GA; five brothers: Curtis (Stephanie) West, Hinesville, GA, Gregory (Priscilla) West, Clyde (Rose) Angry, Americus, GA, Willie (Carol) Williams, Jr. Emmett Angry, Sumter City; two aunts: Rosa Thomas, Montezuma, GA Lizzie Robinson, Americus GA; one uncle, Leroy Williams, Americus, GA; a devoted friend, Patricia Diane White, Smithville, GA and a host of nieces, nephews, cousins, and friends also survive. Funeral services for Mr. Willie Roosevelt Bady, Jr., age 66 of Ft. Lauderdale Florida formerly of Smithville, Georgia, will be held on Saturday, October 22, 2016 at 12:00 Noon at the Green Grove Baptist Church in Smithville with Rev. Hosie Waters officiating. Burial will follow at the church cemetery. Mr. Willie Roosevelt Bady, Jr., affectionately called “Lil Willie”, was born on August 9, 1950 in Smithville, GA to the parentage of Mr. Willie Roosevelt Bady, Sr. and Mrs. Postell Harvey Rivers Bady, who precede him in death. He is the sixth of ten children. He attended the public schools of Lee County in Leesburg, Georgia and received his diploma from the Job Corp Center in Townsend, Tennessee. After graduating from Job Corp, Willie moved to Rochester, New York, where he worked for several years before relocating to Atlanta, Georgia where he was employed with Bankhead Enterprise and Ace Box Company. In the early 80’s he moved back to Smithville and accepted positions with Glover Foods, Shiver Lumber Company, and Davidson Rubber Company in Americus. In 1993, Willie moved to Fort Lauderdale, Florida. He was employed with Goodwill Industries as a Fork lifter operator. At an early age, Mr. Bady realized that he would face numerous obstacles in life, therefore, he confessed Jesus Christ as his personal savior and joined the Green Grove Baptist Church and was baptized by the late Reverend Champ Waters. After joining the church, he attended vacation bible school, Sunday school, and other church programs on a regular basis. On Saturday, October 15, 2016, his soul left to be with his savior in his heavenly home. One sister, Ms. Mae Francis Rivers, six brothers, Matthew Rivers, Mr. Ed Rivers, Sr., Mr. Sammie Rivers, Sr., Mr. Paul Bady, Mr. Charles Bady, and Mr. David Bady precede him in death. Left to treasure fond memories are his companion, Cheryl, Fort Lauderdale; two sons, Dayrl Goober, Americus; Marquis Bady, and one daughter, Chabreka Bady, both of Fort Lauderdale; two sisters, Mrs. Emma Covin (Andrew) and Dr. Delphine Bady McGrady, Smithville; one grandson, Tyran Goober, Americus; two sisters-in-law, Mrs. Vera Rivers, and Mrs. Ilean Bady, Smithville; an aunt, Dr. Annie Jewel (Ann) Dismuke and her three daughters (Joyce, Minnette, and Tonya (Pastor Keith), Fort Lauderdale; former sister-in law, Ms. Beverly Bady, Atlanta, GA; loyal nephew, Don Rivers, Smithville; loyal neice, Faychal Rivers Brown, Americus. Additional survivors include a multitude of nieces, nephews, cousins, friends, and an awesome neighbor/friend, Ms. Clarshy Simms, Fort Lauderdale. On this day, October 4, 2016 our Father called his son Antonio Moran Gordon home. Antonio M. Gordon was born on December 6, 1976 in Americus, GA to Mrs. Debra Wallace and the late James Taylor. He was educated in the public schools of Sumter County and obtained a GED and furthered his education at SGTC studying Aviation Maintenance. He loved to draw, write poems and to keep others laughing. Along with his father, he was preceded in death by his grandparents: Louise Gordon, Norman Gordon, Earl Brown Taylor and Lila Mae Wafford; aunts & uncles: Sarah Gordon, Kenny Gordon and Calvin Wafford; great aunts & uncles: Doris Louis and Betty Perry.